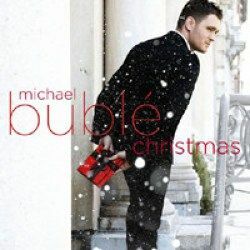 Christmas Baby Please Come Home – Inspired by Michael Buble’ arranged for vocal solo with SSA-TB back vocals (choir) and orchestra. Full rhythm parts include piano/keys, drums set, guitar, and bass. Horns section includes 2 trumpets, baritone sax (solo), and trombone with sub parts for alto sax and trombone. Full strings 2111 with string reduction. Percussion parts (chimes, timpani, sleigh bells). Parts also include a full piano with all vocals and a full score. This comes in both the original key of Gb and the key of F.